When I was pregnant with my first son, my doctor’s office was very close to a Panera (oh, darn!). At the time we lived in rural New York, so my husband and I took the opportunity to eat out after each appointment. I love, love, love Panera’s “You Pick Two” and would often choose their Creamy Tomato Soup and a Greek Salad. Fast forward several years. Our now six year old shares our love for Panera AND tomato soup. (Although, he’s a big fan of it with grilled cheese.) When I decided to try my own version he begged me every day to take it out of the freezer and make it. Thankfully, he was not at all disappointed. This soup is creamy and delicious. It is sweet with just a hint of spice and the celery seed takes it to the next level. In true first grader fashion, he announced that he L-O-V-E’d it! I hope that you do too!! Mash or puree to your liking and stir. Serve with croutons, a salad and/or grilled cheese. 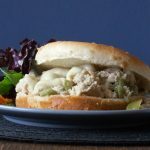 Are there other Panera recipes that you want me to try and copycat? Please leave a comment below! 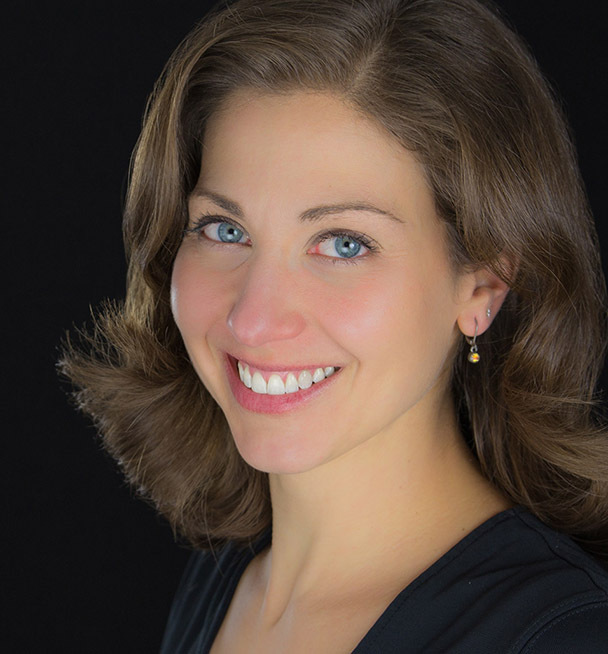 Hi Jill. 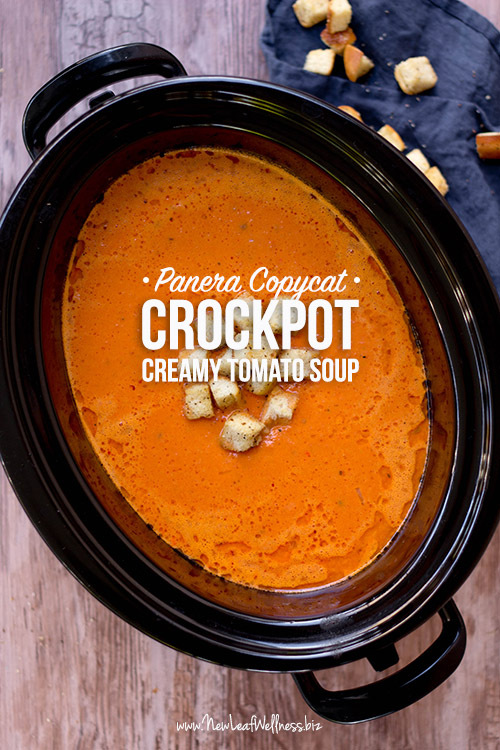 I’m thinking of trying your Panera Tomato Soup recipe and have a question. When you say 16 oz of fresh cream what type of cream are you referring to? Half and half, heavy cream, whipping cream etc? Tks. Michael, I use heavy whipping cream. Let me know what you think, this is definitely one of my favorite recipes! I was wondering could I use canned Coconut Milk (full fat) instead of the whipping cream? And if so how much would you recommend? One can?